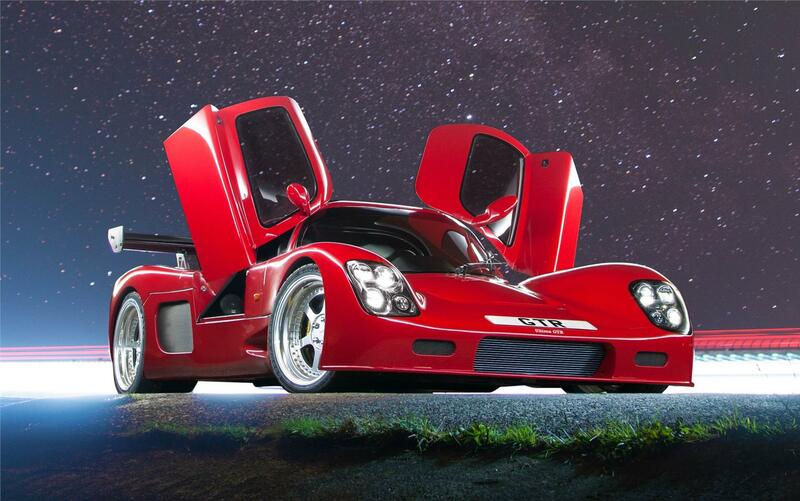 The Ultima GTR has been superseded by the Ultima Evolution Coupe and is no longer produced. Spare parts are available for this model. If you must know one thing, it is that the GTR is the quickest accelerating and decelerating supercar of all time and a multiple world speed record holder. Launched in 1999, the world renowned GTR is a supercar in every sense of the word, with official performance records which humbled every mainstream car on the planet bar none - Bugatti Veyron, Ferrari Enzo and McLaren F1, none could match the GTR’s plethora of world speed acceleration and deceleration records. And the car’s talent weren’t just limited to a straight line. The Ultima GTR was independently timed around the Top Gear test track and found to be a blistering 6.2 seconds per lap faster than the £450,000 Ferrari Enzo and 4.0 seconds per lap faster than the £1.5million Bugatti Veyron SS! With developing the GTR, Ultima concentrated on aerodynamic efficiency and overall balance, two critical elements for any 200+mph supercar. These developments were comprehensively tested at MIRA (the Motor Industry Research Association) where the group was so impressed by the results that it sought an Ultima GTR as the centrepiece for many exhibition appearances publicising the extensive facilities that MIRA has available for car manufacturers. The ultra clean look of the GTR and the faultless self-coloured gel coat bodywork were achieved not by luck, but by design. The production car feel of the GTR is immediately apparent, from the specially moulded headlight housings and covers to the immaculate panel fit and lack of any external body catches. Elsewhere, items such as the purpose-made electric wing mirrors combine to create the complete picture. The sensational appearance of the car has been applauded by designers and connoisseurs alike and means GTRs remain much sought after in the pre-owned market where minimal depreciation is a reality. Chassis: Full spaceframe using mainly 38mm x 1.5mm dia tube MIG welded. Powder coated and panelled in 1.5mm NS4 Alloy sheet. Designed to accept engines up to 2000 bhp.